Kickstarter Becomes a Public Benefit Corporation, So What? Per its commitment to “support a more creative and equitable world,” Kickstarter will annually commit “5% of its after-tax profit towards arts and music education, and to organizations fighting to end systemic inequality,” half of which to be “devoted to arts and music programs for children and young adults, with a primary focus on underserved communities in New York City…distributed to 501(c)(3) organizations, public schools, or via programs developed by Kickstarter” itself. There was no mandate that Kickstarter Inc. become Kickstarter PBC. It could have simply continued along its no-limits for-profit way or even issued an IPO to generate additional operating and investment capital, but it appears to have wanted to make a statement that Kickstarter is “not all about that coin,” in contrast to much of the technology sector that has been seemingly less than altruistic in many cases. Unlike a typical corporation, Kickstarter-the-PBC will have to incorporate the public’s benefit into its business decision-making and report annually on its social and environmental impact. According to an article in Entrepreneur, Kickstarter’s founders never considered becoming a nonprofit. Kickstarter co-founder and CEO Yancey Strickler told Entrepreneur , “(w)e see the for-profit structure as being a powerful one for aligning people around a goal,” a statement that one might typically expect about the mission-attractiveness of a nonprofit. Strickler added, apparently alluding to the importance of the for-profit structure, that Kickstarter needed to be able, according to Entrepreneur’s Catherine Clifford, “to offer competitive salaries to attract and keep top designer and engineering talent.” Apparently, the Kickstarter crew perceives nonprofit status as somehow potentially limiting the salaries they might offer to compete for Silicon Valley talent. What is going on behind Kickstarter’s public benefit corporation conversion? As we have written about benefit corporations in the past, much of the impetus is public relations and branding. By indicating that it will put a portion of profits toward projects that benefit the social good, Kickstarter is simply pledging to do what many corporations do as part of their corporate philanthropy and other good works—and like them, earn public appreciation and positive press for their corporate citizenship. By committing to issue regular reports on how it is pursuing and achieving the social good, Kickstarter will be doing what many corporations in the public eye do as a matter of course, issuing reports on their social responsibility. Examples abound: Walmart on its global responsibility, the Hershey Company’s on “sharing the goodness”, Comcast’s, Halliburton’s corporate sustainability report, and even ExxonMobil’s corporate citizenship report. None of those corporate behemoths are public benefit corporations, but they tout their social responsibility without a hint of blush. Welcome to the corporate social responsibility PR world, Kickstarter. 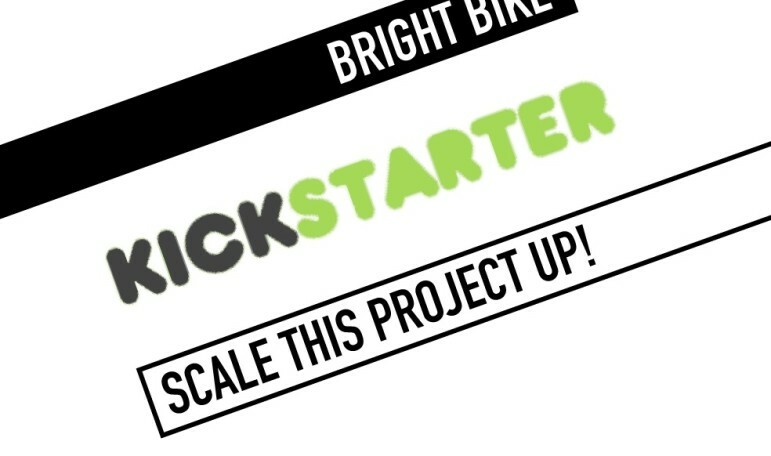 Let’s not get carried away by the hype around Kickstarter’s public benefit altruism. A glance at the diversity of “staff pick” projects on the Kickstarter page include the “8-in-1 evolution bra” (already 611 percent funded) under “fashion”, a “crazy, rule-breaking RPG” called Darkmoor for “games”, “Boneheads 2016” dogbiscuits for food projects, under crafts the “Refoundry” project which says it will train incarcerated people “to repurpose discarded materials into home furnishings”, and in film a horror movie called “Shallow Water” with the horror emanating from the abuse of Mother Nature. The social benefit from Kickstarter’s core business operations varies from deep to virtually nonexistent. It is difficult to see how the pledges that Kickstarter makes as a public benefit corporation radically alter the content of the mixed social benefit, whatever it might be, from its business. Will Kickstarter the PBC reject future Darkmoors in favor of active solicitation of more Refoundry-type initiatives? We wouldn’t bet on it unless it decides to radically alter its business model. Socially responsible business may be on the rise, but in an age of record returns to capital and a level of inequality that would make 19th-century robber barons blush, let’s not get carried away.